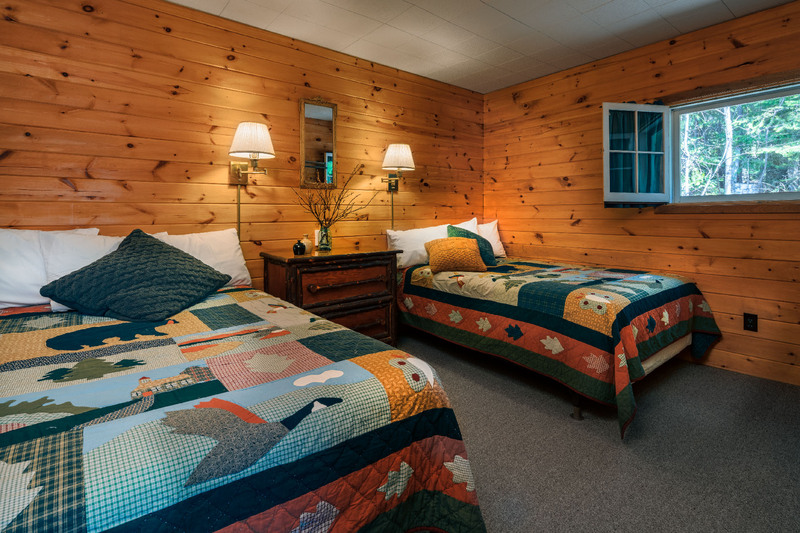 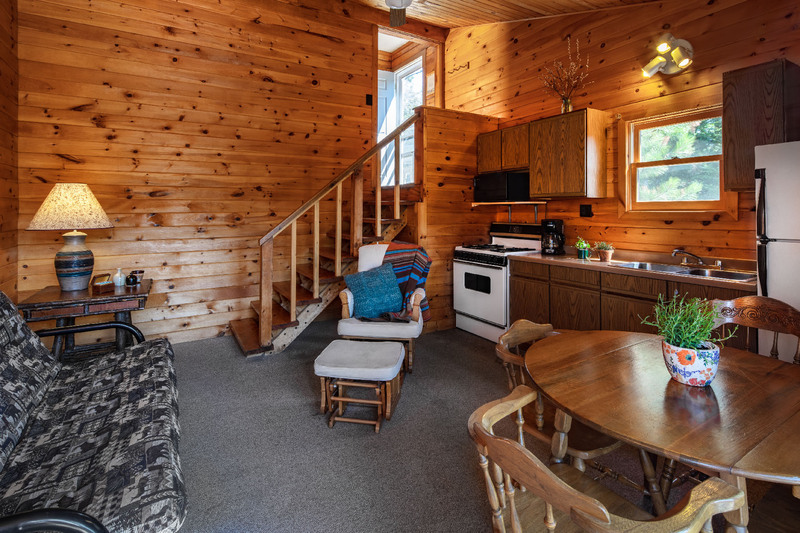 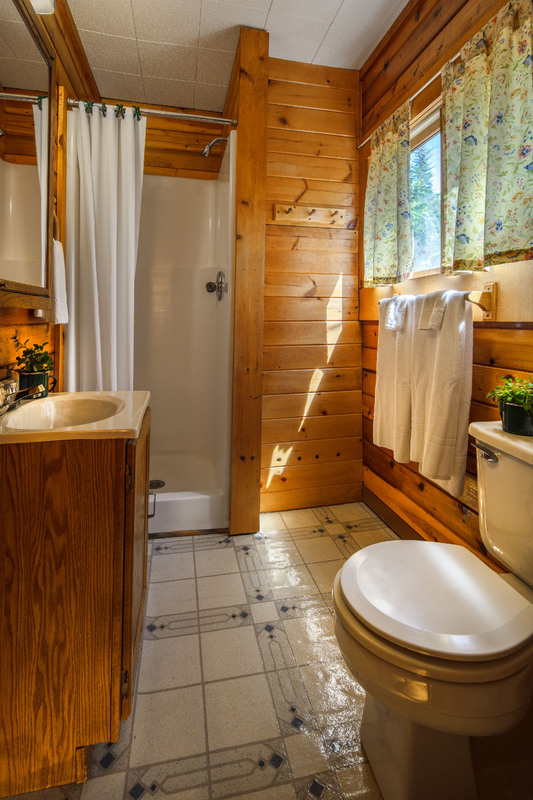 Cabin 9 is an original medium sized cabin (up to 5 people) with a living area, kitchen, bathroom, and bedroom. 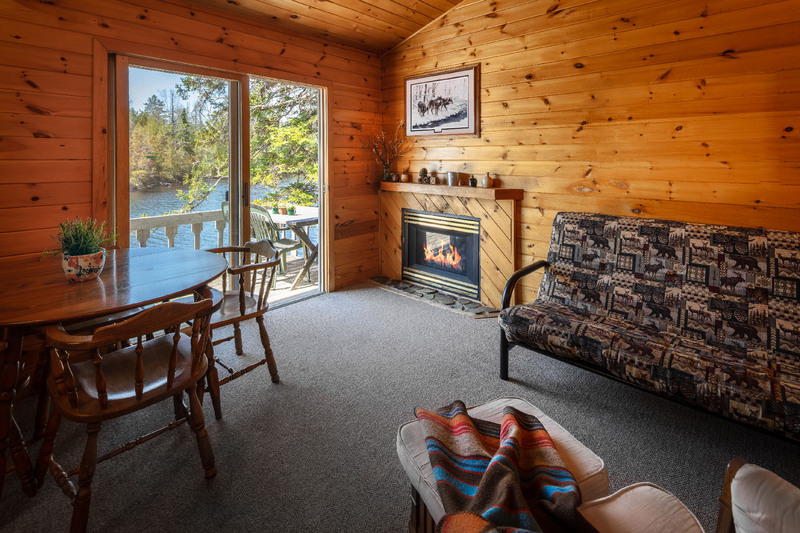 The living room boasts a gas fireplace and futon that pulls out into a full size bed. 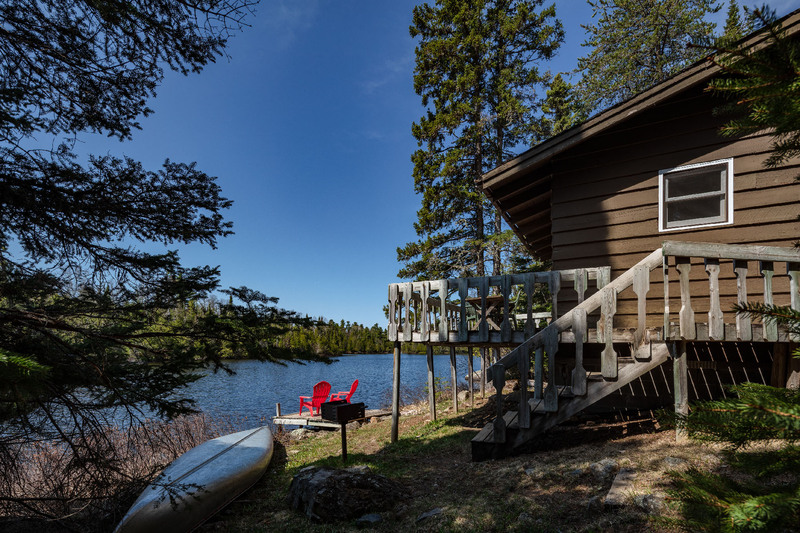 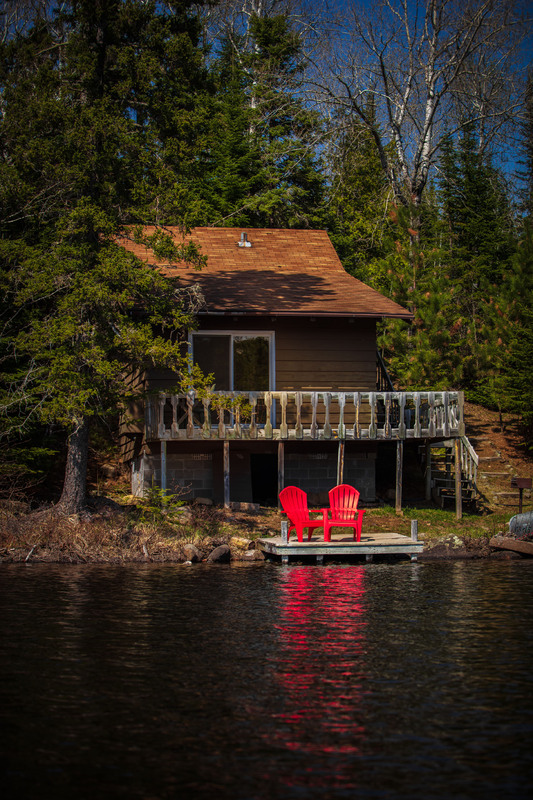 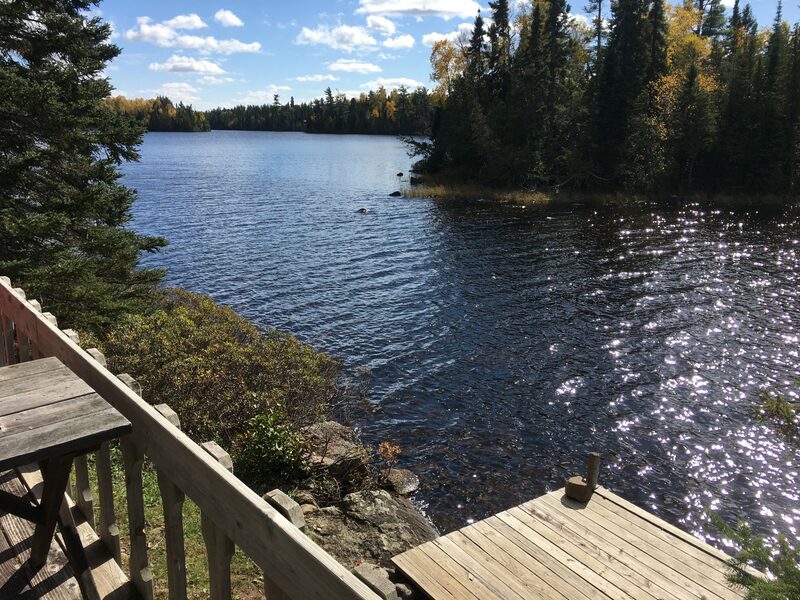 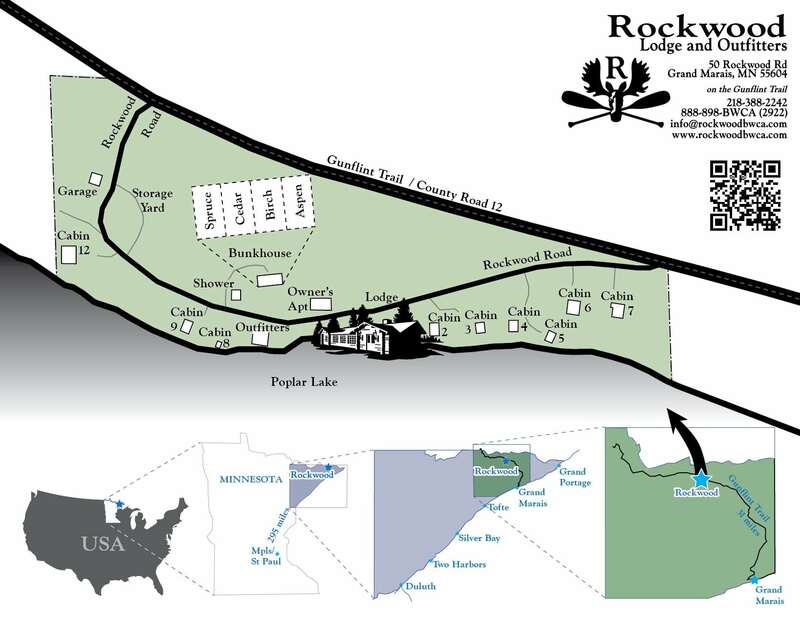 All of our cabins are secluded, but Cabin 9 is on a narrow part of Poplar Lake that sneaks between an island and the dock. 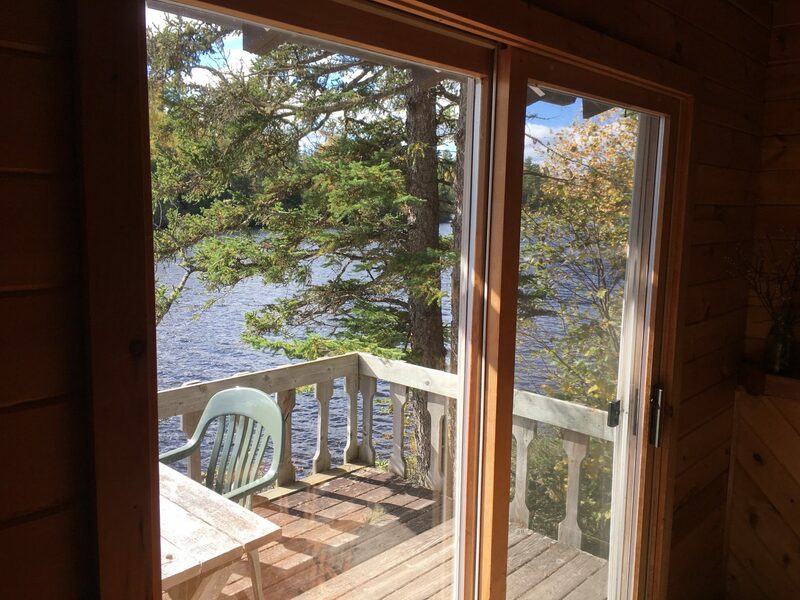 Open May through October; see availability calendar at the bottom of this page.